Ya a la venta «#PlayTrance the Anthem», una producción del productor español Acues que incluye el remix del salvadoreño Eryon Stocker. Un tema tributo a este medio de radiodifusión y en la que desde aquí, queremos agradecer enormemente, tanto a los dos artistas, como al sello que lo distribuye, TFB Records. 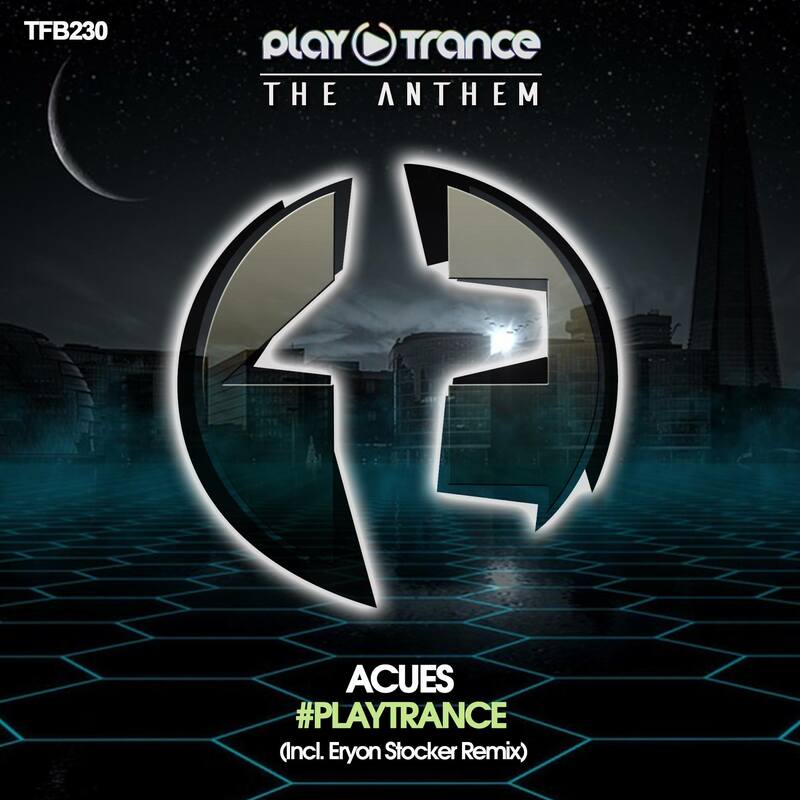 TFB Records presents its 230th release brought by the spanish skilled producer Acues, it is the stunning anthem for the also spanish trance radio station ‘PlayTrance’. This release algo comes with a gorgeous remix by Eryon Stocker. Despite starting with a remarkable dark sound within its bassline, the original song soon imprints a complety different character into the mix with a beautiful and shining melody. These are the vibes that truly lead the song, performing a magical progression until the breakdown is reached. Once we fall into this break, an extremely pure heavenly atmosphere surrounds us, slowing down everything, creating the perfect path for the real melody to carry out its blinding notes. With a soft but constant uplift, the tension is step by step gathered, adding more and more sounds everytime, until the top level is reached and a rush of purity blasts with a blinding sound that takes us to an untold scale of mind pleasure. Acues brings an incredible deep journey through the most mystical side of the mighty Trance music. A true gem that will not dissapoint you! Do not miss it! Eryon Stocker shows his characteristic powerful sound, taking the inner energy of the song several steps up. With this wild and full of bassline changes, the song progresses and starts showing glimpses of the melody. The song gets a delightful uplifting taste during this part. But then, everything freezes, and the melancholic voice appears from the void, supported with some soft pads and a very thin atmosphere that helps the melody telling its story. An emotional an magical story, a tale from the forgotten dreams of the true magical spirit of this music. In a perfect way, the tension starts to rise surronding in an awesome way the melody, to end up exploding together in what is one of the highest feelings ever conveyed by an uplifting climax. Undescriptible stunning work by Eryon Stocker! A must-listen song for all the true lovers of Trance!